Our free consultations are provided by our trained Treatment Coordinators who are here to guide you through the information you may require at no obligation. This visit will give you the opportunity to meet our friendly team, take a look around the practice and discuss treatment costs and payment options. They are not able to provide clinical advice or a treatment plan for your teeth. After this visit, you can then decide if a consultation with one of our Specialist Orthodontists is the right option for you! This is ideal for patients who wish to learn more about orthodontics and what treatments may be suitable for them. An additional fee of £50 is applied if an X-ray is needed. A Specialist Orthodontist will provide you with a provisional treatment plan and associated costings following this visit. This 30 minutes long appointment is essential prior to starting treatment and will include, where indicated, x-rays, impressions and clinical photographs. A definitive treatment plan and associated costings will be provided following this visit. This 45 minutes long appointment is essential prior to starting treatment and will include, where indicated, x-rays, impressions and clinical photographs. A definitive treatment plan and associated costings will be provided following this visit." Please email us at tc@weybridgeortho.com or use the online form below. Fields in bold are required. Please find below all the necessary emergency contact numbers or alternatively contact the surgery on the next working day. If you are a registered Private patient with an Orthodontic breakage please email emergency@weybridgeortho.com and we will get back to you as soon as we can. 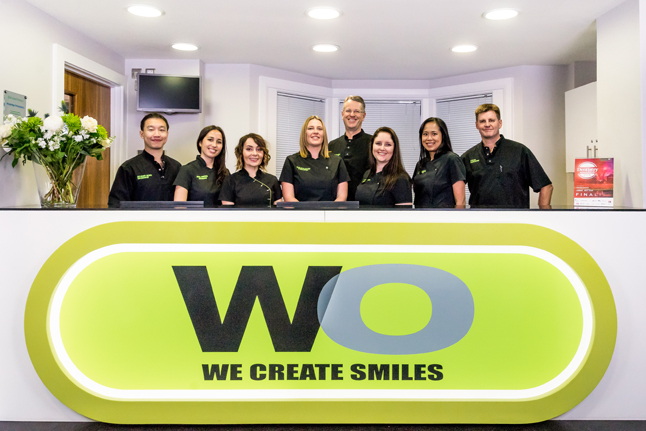 Weybridge Orthodontics strives to provide patients with the best possible services. At the practice, we have a disabled toilet and lift. Disabled parking is also available at the front of the building. If the screen is black it means the fish are sleeping. Please come back tomorrow during our opening hours when they will be awake.